OASIS offers support for farmers considering organic conversion and provides existing organic farmers with management advice and information. OASIS is a partnership between OF&G and Abacus. 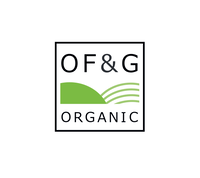 OF&G is a Community Interest Company with more than 40 years experience in the organic sector. We certify over 50% of all organic land in the UK. Abacus provides independent advice with a practical, hands-on approach to integrated farm management and agronomy for organic and low input agriculture.